Website management done RIGHT! We are an experienced agency providing quality results. Pick us for your web designs and development needs and receive top solutions. We are a full service Santa Cruz website designer firm and have the experience and drive to make your business succeed on the web. Contact us to see our client portfolio. Contact us today and request a free web audit. We explore your site design, code development, competition and provide valuable insights on how to improve business sales. 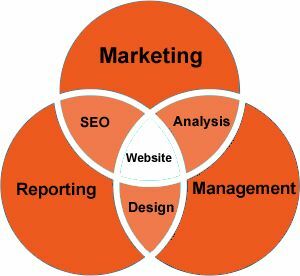 A digital marketing agency located in Santa Cruz, Bay Area with over 15 years of experience and offer comprehensive web management and marketing solutions. Our approach is to fully understand client needs and offer the best web services at an affordable rate. We are experienced web designers and create mobile-friendly websites hosted on various content management systems. Experienced digital marketers that build buzz and create brand awareness for your bsuiness which enables leads, traffic & conversions. We are experienced in SEO (search engine optimization) and can get your business organic search engine traffic at a reasonable cost. We specialize in PPC rankings, conversions, tracking and increasing ROI for your small business. Our web designers have been designing and managing websites in Santa Cruz for many years. Our process is efficient and effective. Let us provide you with detailed reports and recommendations that will allow you to stay informed and surpass your competition. We offer a great holistic approach to web management and offer more than just a single web design service. This allows your domain to become an asset rather than an expense. 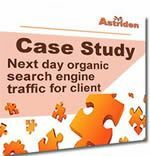 Contact us to learn how we ranked a website on the first page of organic search engine results and drove organic search traffic to that website, the same day! Web Design Santa Cruz - Beautiful Designs! Astriden is a web design Santa Cruz company. Hire the best freelance consultant webmaster at an affordable rate! Your website is a powerful marketing tool for your business and plays a critical role in your business' success. We are an experienced web development company delivering solutions that are unique and tailored to suit your specific marketing goals. 5 ways to boost web conversion rates. How CASL spam law compliance should affect your website, newsletter, database, and marketing efforts. Record website visitor actions to increase conversions and boost sales. Ever wonder where your company stands on the web? We offer a free evaluation to determine your strengths / weaknesses and provide suggestions on how to improve. Contact us today for a free website audit.